Thiago Bouzan (thiagot5)  finished his latest work - a replica from the mechanical calculator Pascal's Calculator (or Pascaline), invented by Blaise Pascal in 1642. This calculating machine could add and subtract two numbers directly and multiply and divide by repetition. Do not confuse with other more advanced calculus machines developed many years later, and eventually better know by the readers. The Arithmometer patented in France by Thomas de Colmar in 1820, and the Difference Engine or the Analytical Engine, both designed by Charles Babbage (aka "father of the computer") later in the 19th century. 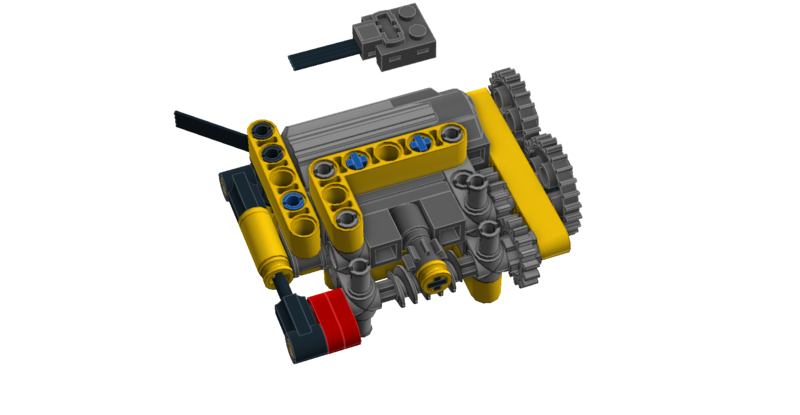 For a LEGO realization of the Babbage Difference Engine, by Andrew Carol, you may want to recall this older post here at TBs . Woah! That is wonderful! Now I want to build on of my own!! !